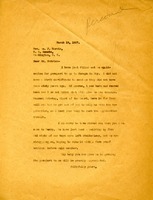 George will try to visit Berry on his way back to Washington, DC. 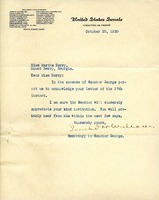 Berry writes to ask George to stop at Berry en route to Washington, saying they have a pleasant guest cottage where they can make him and Mrs. George comfortable if they visit. 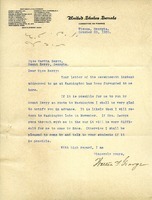 Miss Berry writes to W. F. George to ask him to speak to the students at Berry on his way to or from Savannah in November. 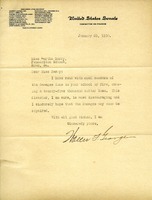 She offers to have him for luncheon or overnight at whatever date is convenient for him. 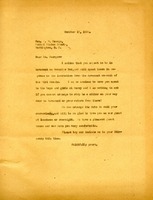 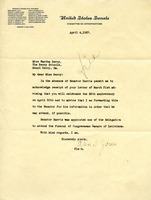 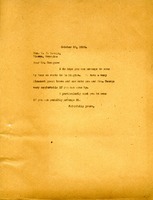 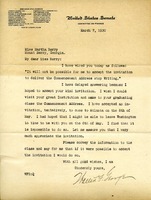 Alice D. Jones responds for Senator William J. Harris of Georgia to an invitation from Martha Berry for the Senator to attend the Berry Schools' 25th anniversary celebration.